Your app is full of functionality designed to make your users’ jobs easier. You can save them even more time by gathering the most common tasks they have to perform onto a common home page, so they can act directly from there. This type of home page is called a dashboard. To create the dashboard, you’ll combine skills you’ve learned throughout the course: interviewing users, scripting, script parameters, and layout design. You’ll practice some new ideas, as well. As you know, each layout must be assigned a data table — but a dashboard is a layout that stands apart from your business data. It doesn’t reflect a specific record, but rather is a central area from which you can go in other directions. To avoid accidental interactions with real data, you’ll create a new “interface” table that is not designed to store business data. You’ll learn how to fill a layout part with an image, personalizing the look of your app. You’ll also learn how to use a script trigger to initiate a script. Instead of having a user click a button to explicitly call a script, a script trigger calls a script based on a natural action the user takes, such as loading a layout or exiting a field. Lastly, you’ll use the built-in quick find to search across multiple fields with one search term. A dashboard is like a welcome mat for your app, a beautiful home page where users can quickly get things done, or see important charts at a glance. Saving even a couple clicks on common tasks can add up to significant efficiencies over weeks and months. 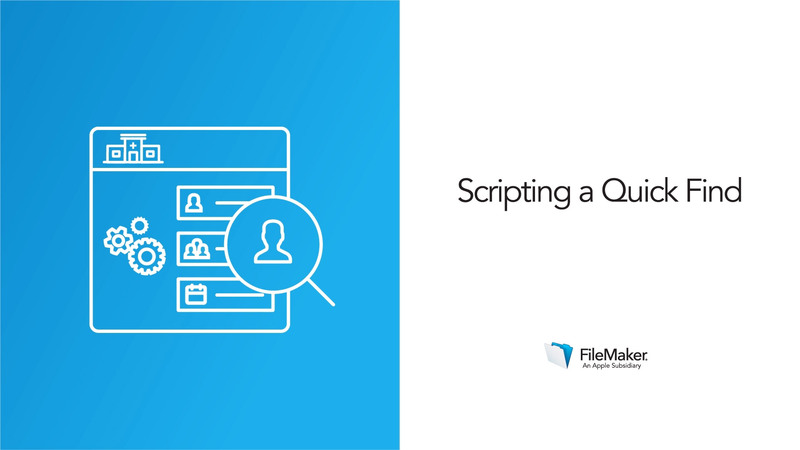 Script triggers let you run scripts behind the scenes, so your app helps users even before they ask for it. 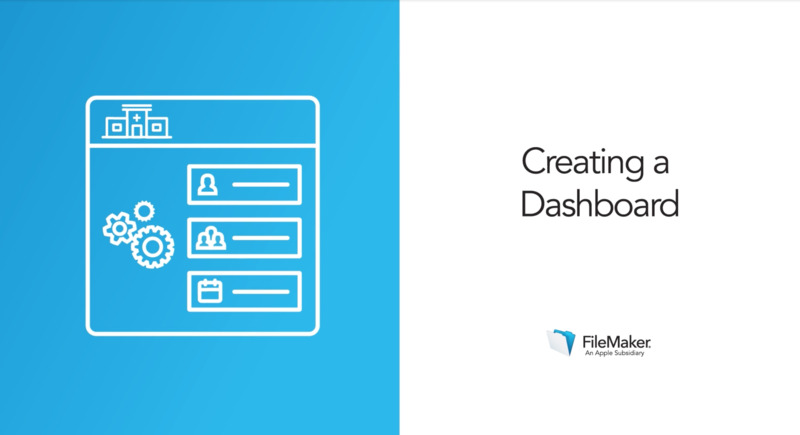 Create a dashboard layout and personalize it with images from the sample practice. Use a global field, a script trigger, and the Perform Quick Find script step to allow users to search from the dashboard.